“UFC 131: Dos Santos vs. Carwin” took place Saturday night inside the Rogers Arena in Vancouver, Canada. 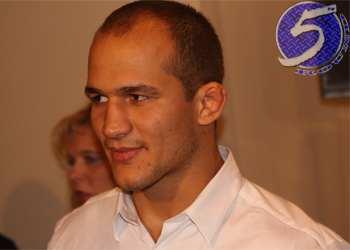 Junior dos Santos solidified his heavyweight top contender moniker by steamrolling Shane Carwin in the card’s featured contest. Although the Brazilian did his best to end Carwin’s night in the 1stRound, the former interim champ managed to survive a brutal beating to force the officials sitting Octagon-side to determine the victor. Dos Santos cruised to a (30-27, 30-27, 30-26) sweep and advanced to a title fight against champion Cain Velasquez. According to UFC president Dana White, 14,685 fans packed the arena for a live gate of $2.8 million. Florian made it sound like the weight cut wasn’t the best experience for him. Said he wondered why he was doing this. Dos Santos said he told referee Herb Dean, ‘Hey, stop the fight’. He admitted to getting tired with all the punches, but said it was the right decision not to stop the fight. White said Florian is “more than likely” to get next dibs at UFC featherweight champ Jose Aldo. It seems like he hopped Chad Mendes on the totem pole. September at UFC 135 or October for UFC 136 are possibilities to host.